Hey folks it's Friday. which means it's the weekend baby! Time to set back relax and reflect on the week ahead. Sometimes it requires a little motivation, which brings me to my project... I created what many of us know as an easel drawer card. 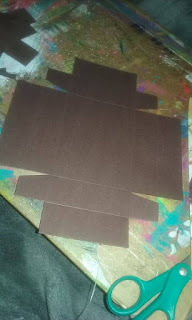 I readjusted the measurements as I knew them to be, to fit ATCs (artist trading cards). I left enough room so that would be easy enough to get out them drawer. 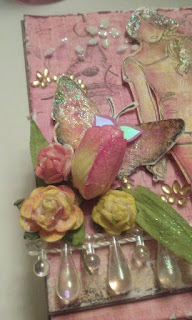 I was able to use a few misc stamps from various sets I have from Sin City Stamps. 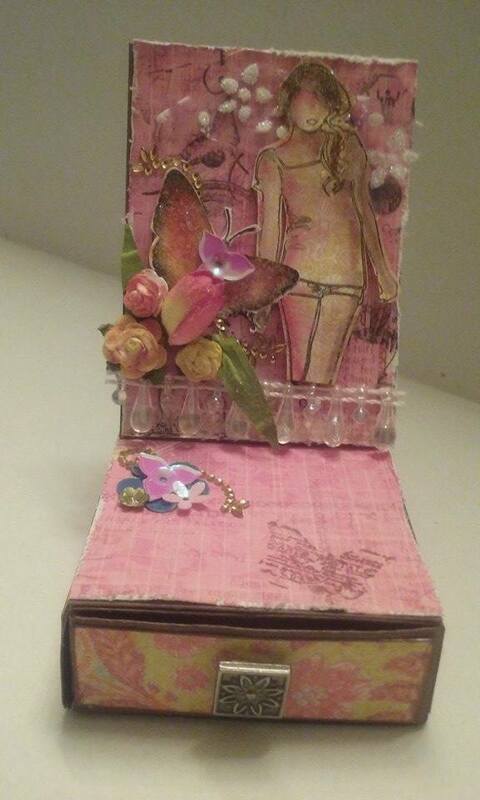 This easel and drawer box card was created for an ATC. The drawer can hold twenty flat. 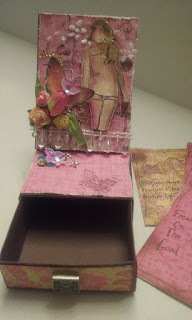 I enjoyed making the box card, even though I had to measure again and again :) . Let me show you what I did. 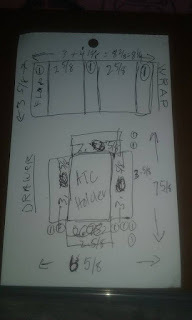 Here I did my own calculations for the drawer and the wrapper. I made a few provisions so the ATCs would have a little wiggle room. I think I did this step at least twice. Didn't care for my scoring abilities and chose to start over. While the trim was setting I proceeded to work on my image. 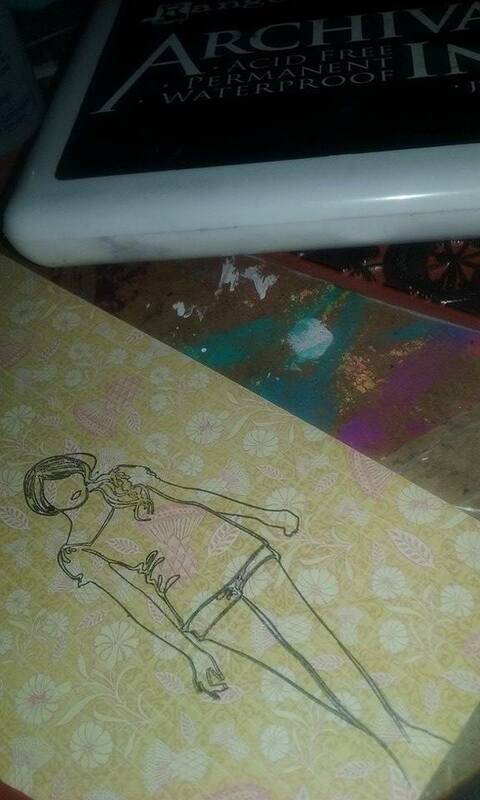 I don't know about you all, but sometimes I stamp extra images so I can color them and then I place it in a folder, so I can use them as I need them, This time, I stamped on printed paper to avoid doing too much extra coloring. 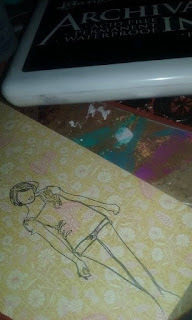 I did stamp her in archival ink though, wasn't sure how wet she might get when I applied paints. 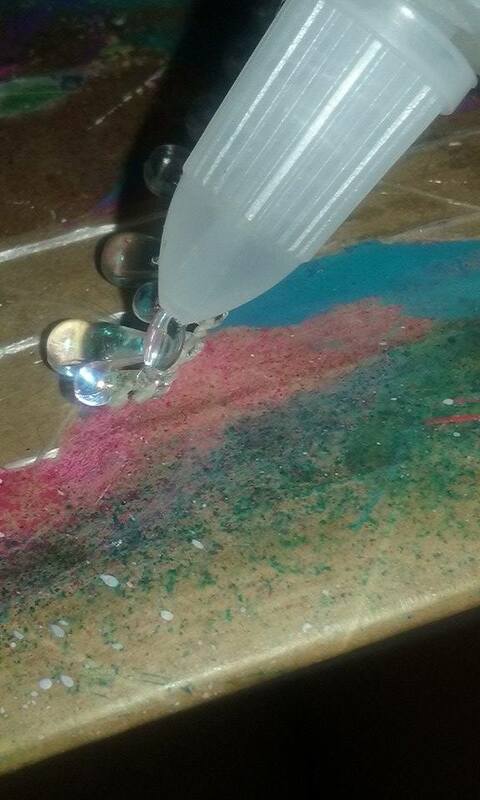 My neocolor IIs added a little color to her'' and instead of using water to activate the neo IIs, I used some unbleached titanium white. 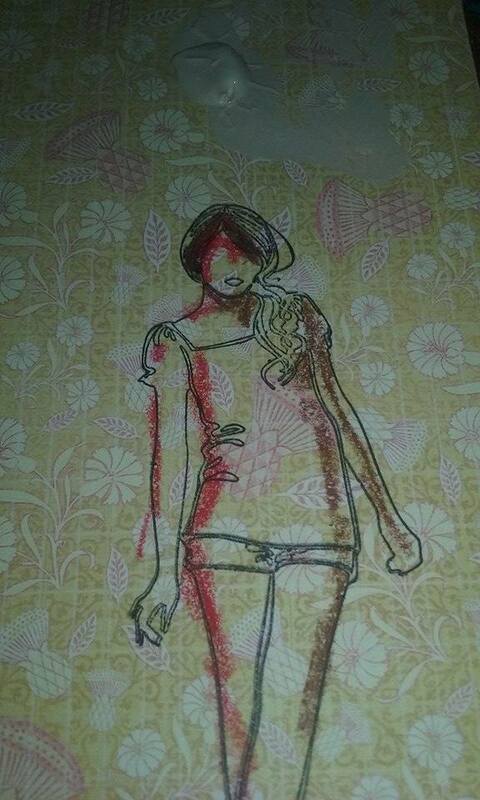 Which worked well and softened my bold lines of color on my image. 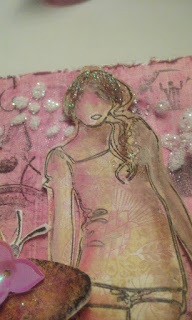 She is just 1 of 6, lovely girls you can find in the Just Us Girls Stamp set by Terri Sproul. After I had a few more things added to my box card.. 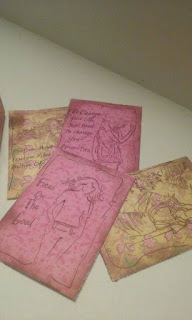 I decided to create a some very simple ATCs with positive messages on each of them. I know the recipient will love those! Here are some more pictures, up close. Hope you guys enjoyed my project and even more important, Don't forget to shop at Sin City Stamps for all your stamping and paper crafting needs! Meko, this is beautiful. 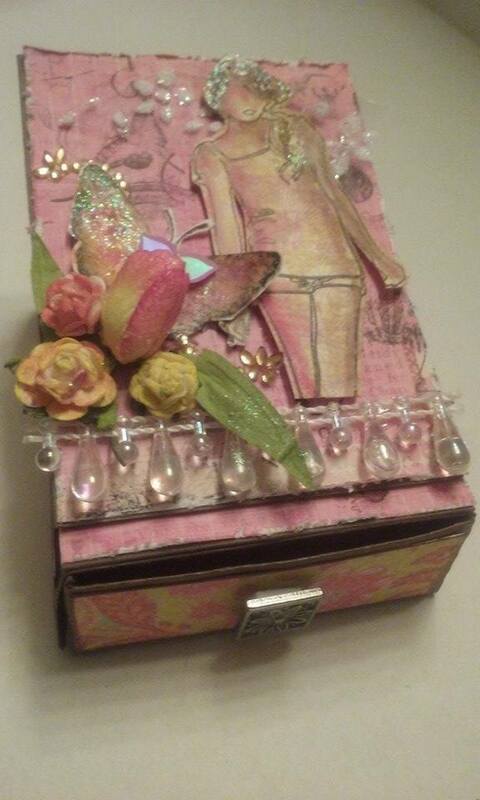 Love the concept and your color choices. Fabulous job, I love the little box to hold those ATC's! Oh Meko this is awesome. It is beautiful. LOve that girl and all the amazing details! Totally gorgeous and fab girl! 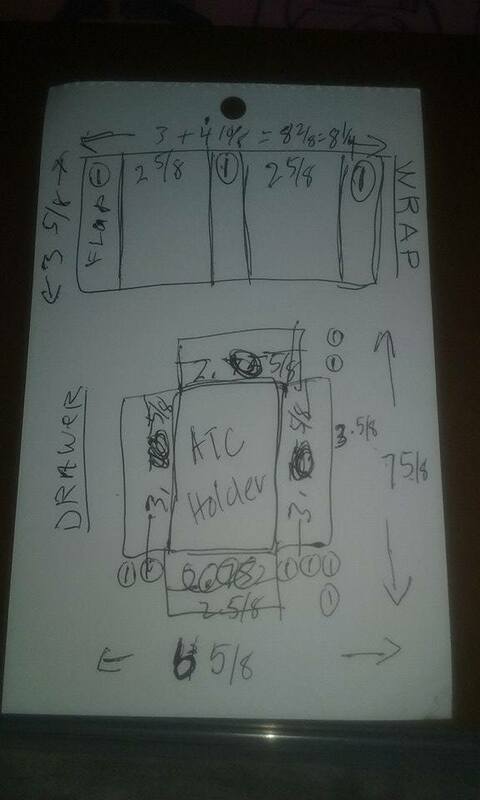 How awesome is your little box to hold your ATC's. I am sure the person who receives these will treasure them. That is sooooo cool!! I love the the box and what a great idea for storing ATC's. beautiful! !